More Bristol Pictures - But This Time I Am Not Alone! Before last weekend sinks too far into oblivion, I will mention here that I spent it very pleasantly being visited by Clémentine Beauvais. 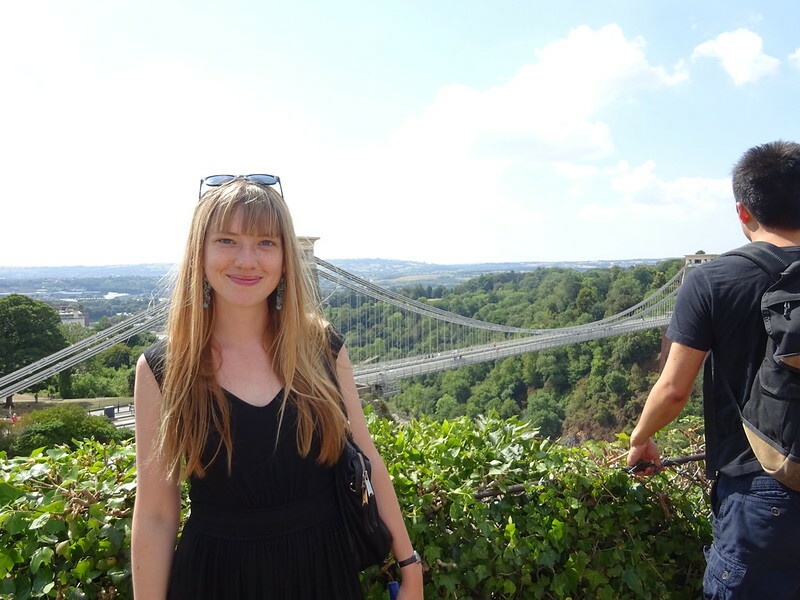 I've visited Clémentine in York a couple of times since she took up her lectureship there, but this was her first time in Bristol, so naturally we did the things that everyone has to do on their first visit, such as pose by the Suspension Bridge. Another tourist regular, but one I'd not indulged in myself for well over a decade, is the SS Great Britain, Brunel's great trans-Atlantic steamship, which sits in Bristol harbour. The whole Brunel experience has been considerably souped up since my last visit, including the introduction of nineteenth-century smells into the passenger cabins. 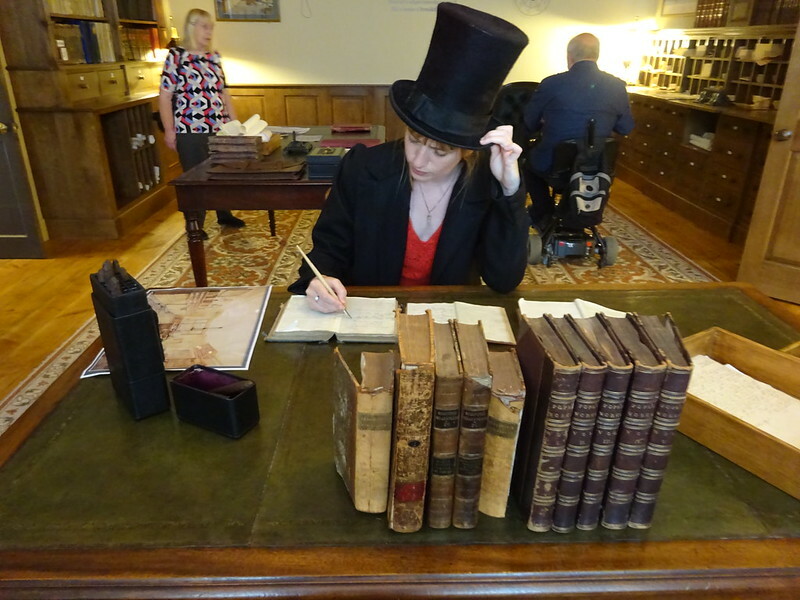 One can also dress up, and pretend to be wishing a tearful goodbye to the old country from the deck, or perhaps tot up the accounts in Mr Brunel's stovepipe hat. Or indeed pose under a ridiculously large simulacrum of the great man's head. 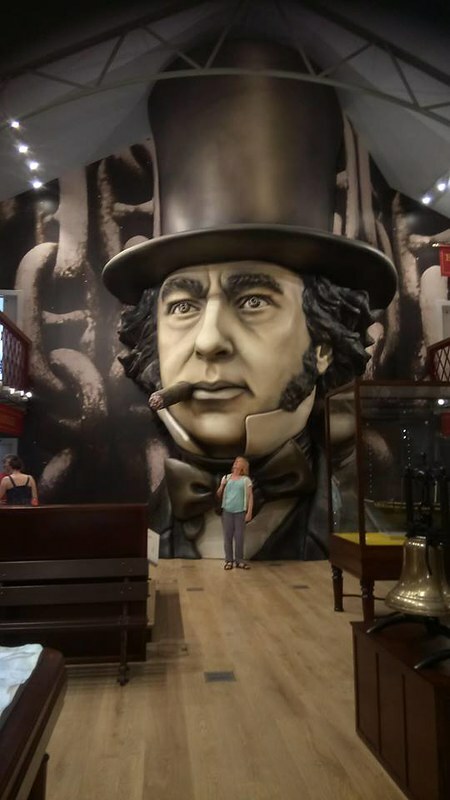 In a chamber within this gargantuan noddle one can experience being "Inside Brunel's Mind", a six-minute show full of sounds, flashing lights and smoke meant to convey the impression of being a multi-tasking genius. It's always interesting to see how people try to convey the experience of being very clever - the graphics in Sherlock are another example - but I wonder whether they ran their conclusions past any bona fide brainboxes to make sure they'd got it right? 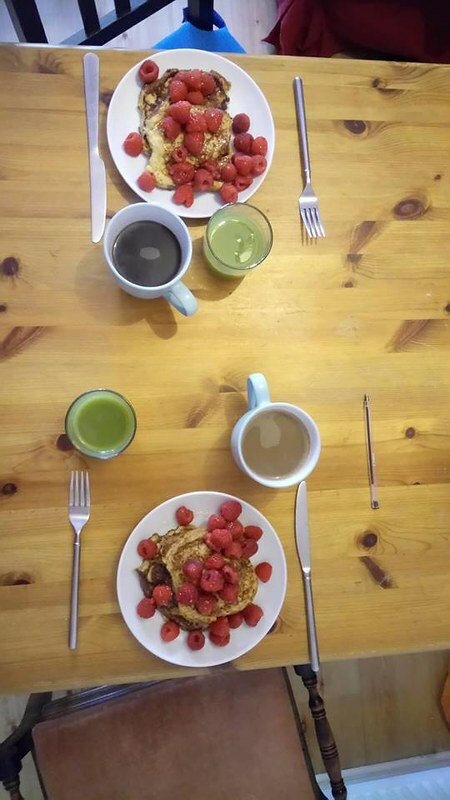 While you ponder that, here's a picture of some pain perdu, à la Dr Beauvais. 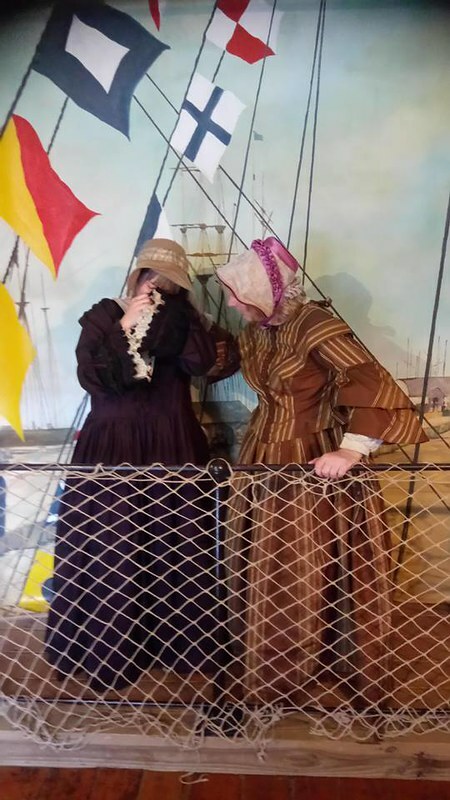 What are nineteenth century smells? Smoke, pee (from inadequate plumbing) sweat? Oil? Pomade? All these minus the pomade and plus new-baked bread. Yow. Though I'd take the bread. Yum. It used to be a fairly functional tour, but since I was there last it's become quite a fancy affair!